April brought about some unexpected adventures and I never for one second thought that I would be heading home at any point. I have not been back to Wales since December 2016 and my next trip home was scheduled for this July for my cousin’s wedding. I will touch on why I went home a bit later on in the post. 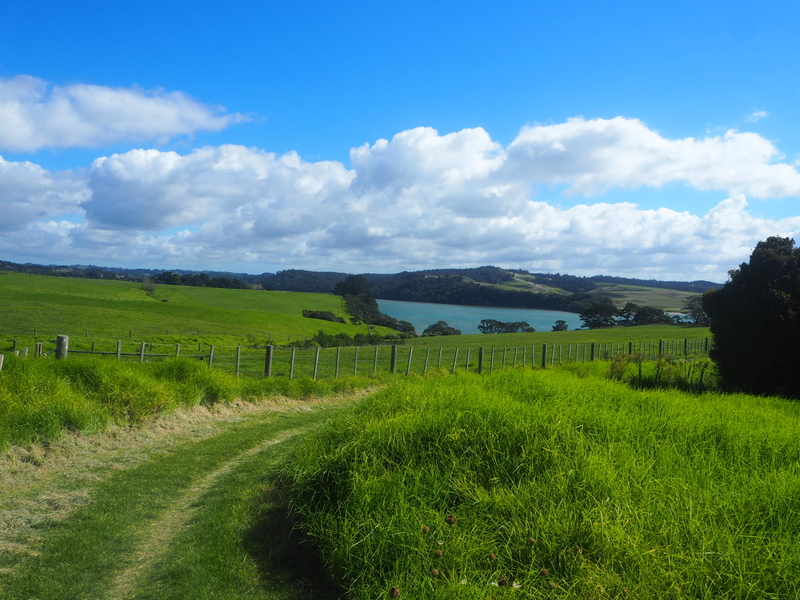 At the beginning of the month I did the Long Bay Coastal Track – a really beautiful walk over on the North Shore of Auckland. You can read about the walk in more detail here. 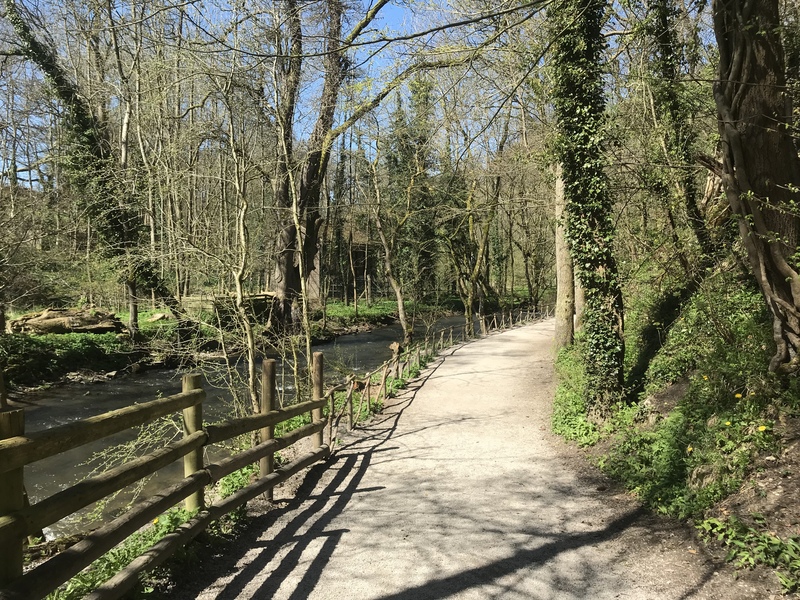 I started doing the Couch to 5k and I was going really well with it but my trip home kind of disrupted things so I am getting back into it now. There is a big park I pass by on my way home from work called Cornwall Park so I have been running there on the way home. On the first weekend of April my friends came round for a girlie dinner. We all cooked something different. 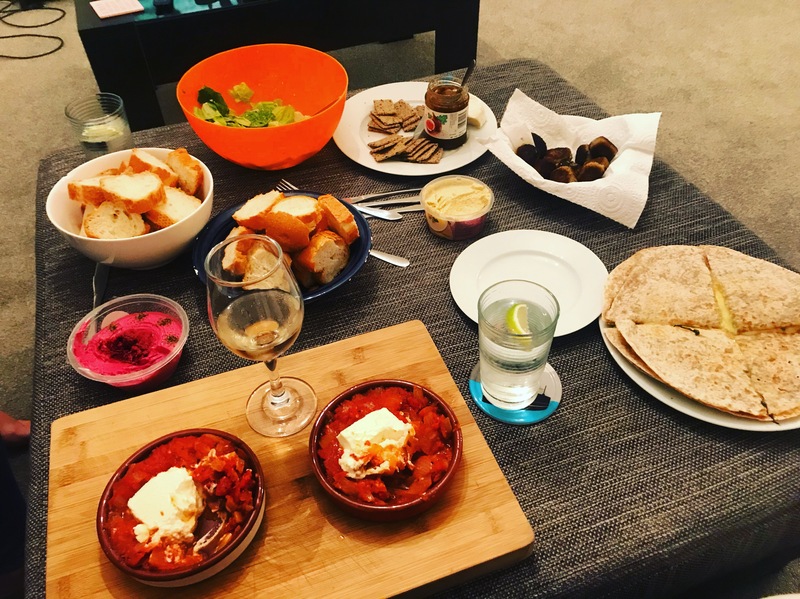 I made a baked tomato and goats cheese dip – it’s one of my favourite things to eat and make. The recipe is here if you’d like to have a go yourself. We have started making a habit of getting UberEats in work on a Friday. 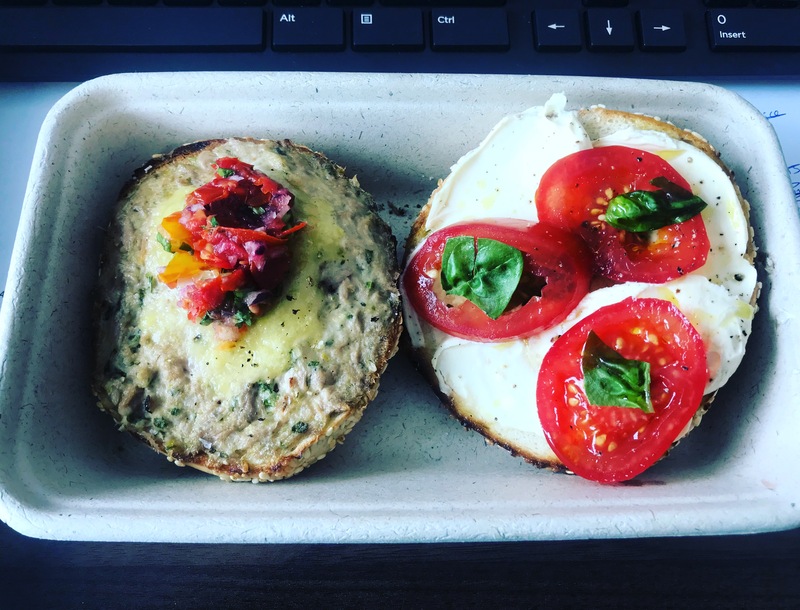 We’re obsessed with Best Ugly Bagels – the tuna melt is my favourite although this time I went halves with my work colleague and got half a tuna melt and half a white rabbit which was cream cheese, tomato and basil. On the 17th April I flew home as unfortunately my nana passed away and I returned for her funeral. It was a very short trip and I only had three full days in Wales but I am so glad I went. 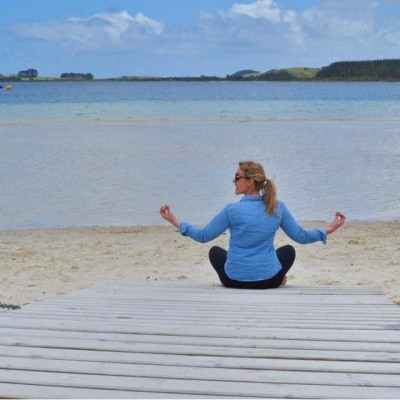 My body was exhausted by the time I got back to New Zealand and the first week back I felt I was walking around like a zombie as my head just felt so foggy. 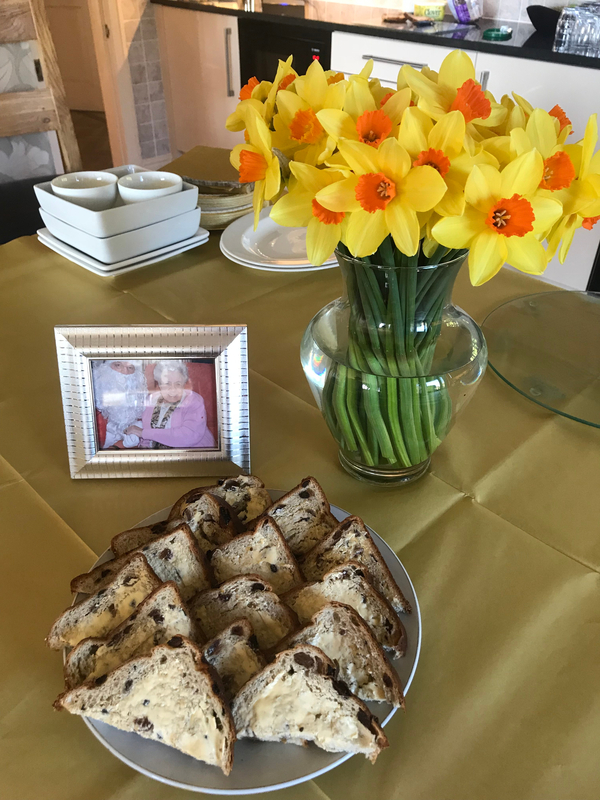 Daffodils are our national flower and in Wales it is traditional to serve Bara Brith at funerals. It literally translates as ‘mottled bread’ and is kind of a fruit loaf. It was a beautiful service with all of her favourite hymns and a beautifully sunny day. I also got to spend some quality time with my nieces Eden and Autumn and meet my new nephew Hayden for the first time. 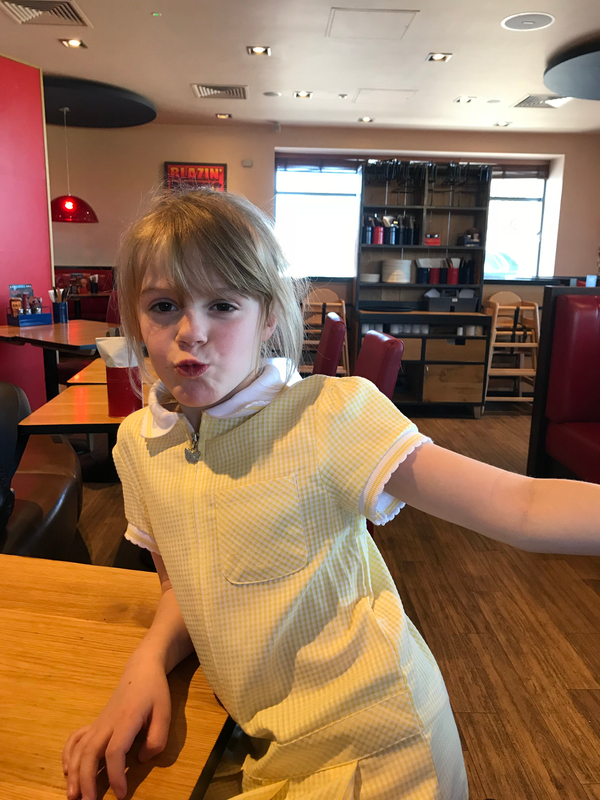 I picked my oldest niece Eden up from school one day with my sister in law and we went to Pizza Hut. It was a great way to spend my last afternoon at home before flying back to New Zealand the next day. 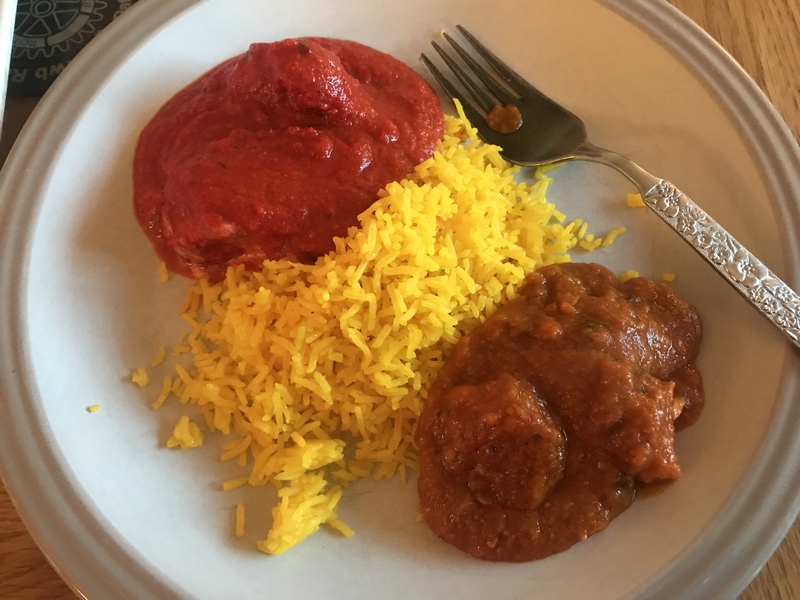 I also couldn’t have a visit home without having my favourite Indian food. I crave this all the time! Me and Mum also went for a walk which was really nice to take advantage of the unusually good weather. 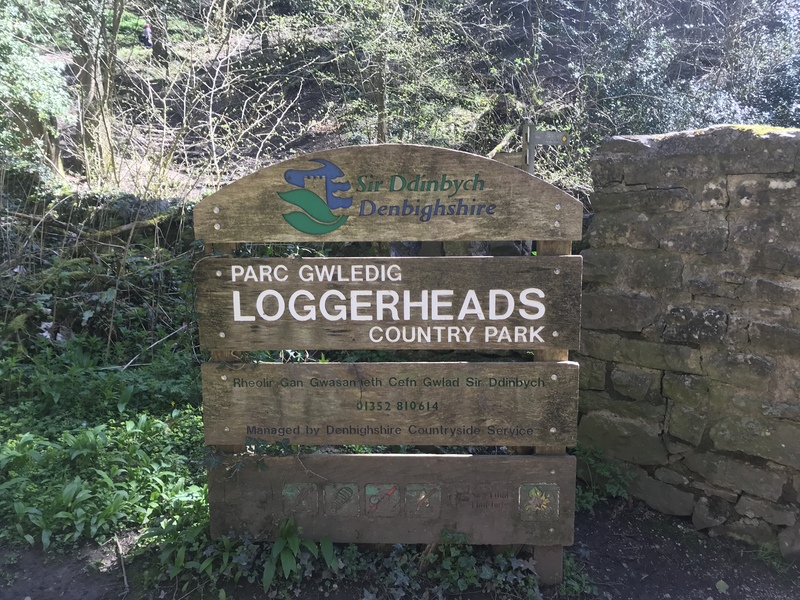 We went to Loggerheads Country Park where we used to go quite a lot when I lived at home. I arrived back in Auckland on the Sunday Evening and was back in work on the Monday morning. It was a struggle believe me! Luckily it was a public holiday in Australia and New Zealand on Wednesday 25th April for ANZAC Day. This day is to commemorate Australian and Kiwi soldiers who fought in the war. 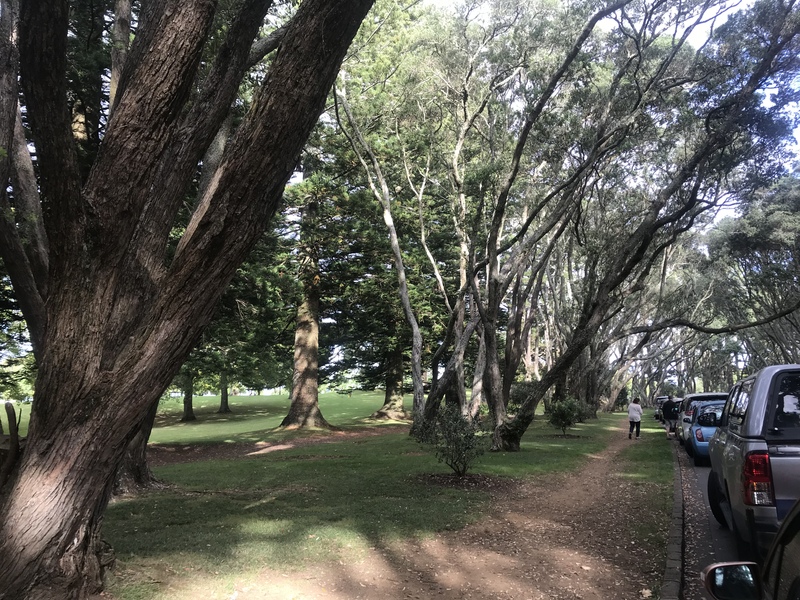 I went to Cornwall Park with a group of friends for a picnic and to finish off the day we went for some Malaysian food at KK Malaysian Restaurant in Royal Oak. 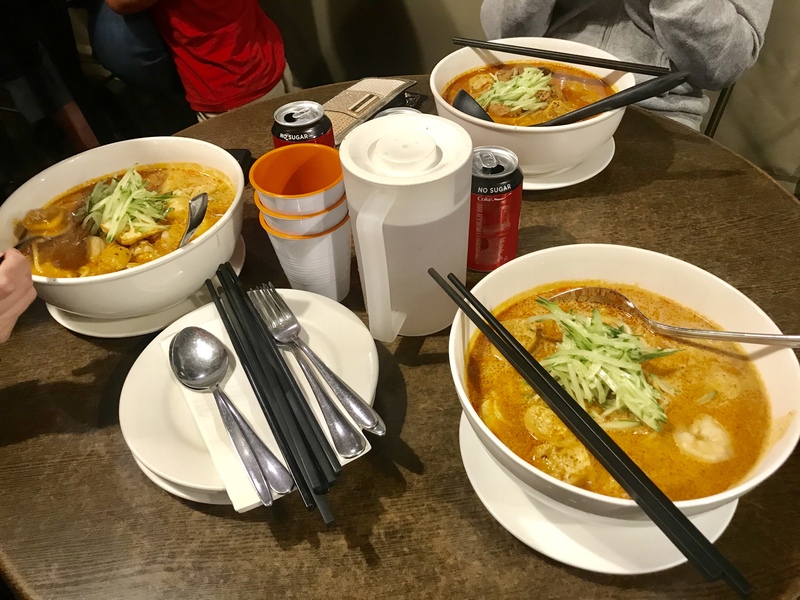 We had laksa which is a curried noodle soup – really addictive! My friend Rachel has recently moved into a new house in Northcote so I went to check out the new place and we went for brunch at her new local cafe – Clarence Road Eatery. 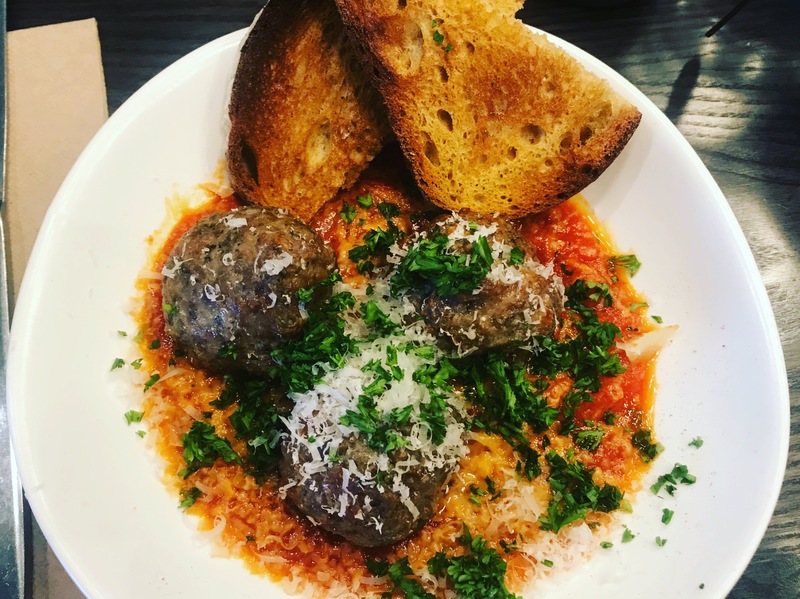 I had the meatballs and they were really nice, this might become a regular place for us. 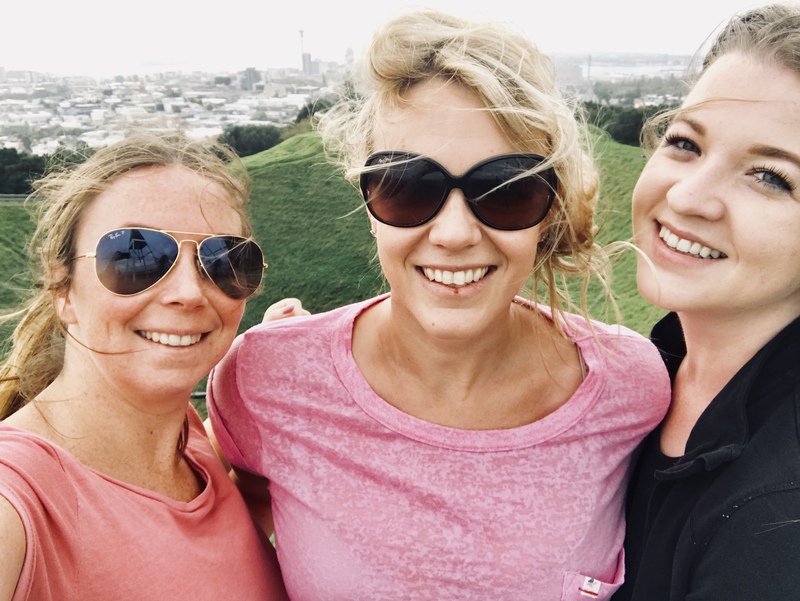 To finish off the last weekend in April I climbed up Mount Eden with Jodie and Jen and had an ice cream to reward ourselves when we reached the bottom. As you can see it was very windy and I am sporting a cold sore from the stress of the journey home and back! 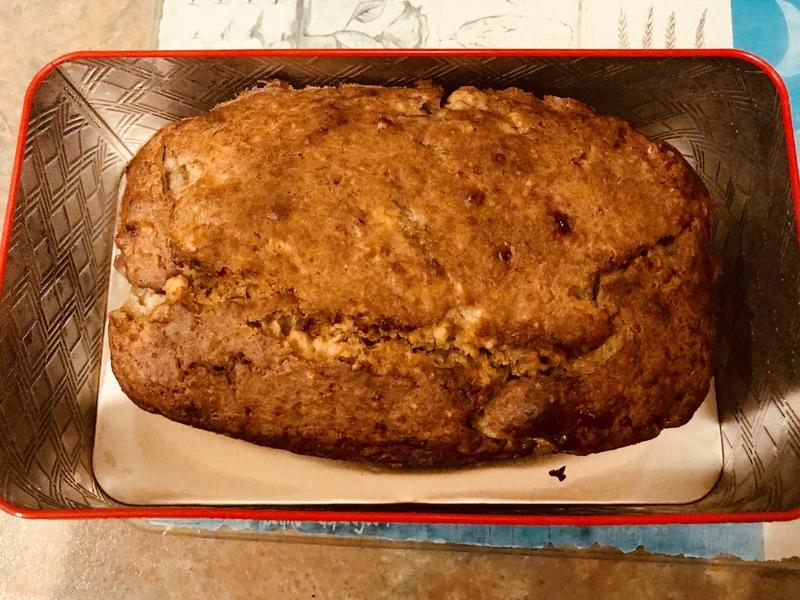 I spend the rest of Sunday afternoon baking some banana bread to take into work the next day. I used the Chelsea Winter recipe. 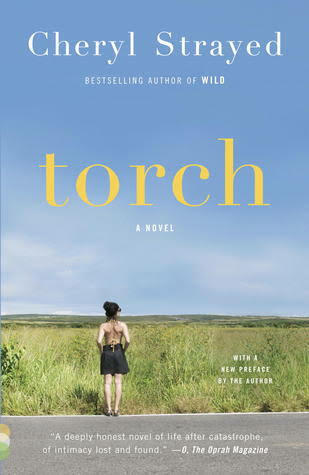 Torch is a novel by Cheryl Strayed who is the author of Wild – a memoir about her journey hiking the Pacific Crest Trail. The novel is about the death of a mother and wife and the repercussions and effects on the family afterwards. Highly recommended. So that’s it for April! What did you get up to?